An ex-soldier who was stationed in Afghanistan, Joseph Smith (Jason Statham) is now homeless on the streets of London. One day he discovers an empty apartment and, on confirming that the owners are away, he makes it his home. Calling himself Joey Jones, he gets himself a job and tries to support his ex wife and daughter, while trying to locate Isabel, a woman he got separated from while on the streets. But his goals change when he meets Cristina (Agata Buzek), a nun, at a soup kitchen. The film was originally called Redemption and has been released under that name in most places. Set in 2002, Julie Powell (Amy Adams) is an aspiring writer who is unhappy in her government job. To distract herself, she challenges herself to cook every recipe in the book by top chef Julia Child (Meryl Streep). With over 500 recipes in it, Powell decides to document the progress in a blog and soon gains popularity. When it is featured in The New York Times, Child is very dismissive of Powella��s efforts, while she herself is struggling to get her new book published. Streep gained 15 pounds for the film, and had to wear high heels to make her 5a��6a�? frame look like Childa��s 6a��2a�? one. Munna (Nikhila Dwivedi) is a small time crook in UP, and Babu (Richa Chadda) is a hardened criminal and the leader of a drug trade. The two get captured in separate incidents and are heading to the police station, but due to fate and a punctured tyre, they end up in the same police van. When the van crashes, the duo hide out until they are presumed dead. Soon Munna realises he has feelings for Babu. But is she just using him? The film was heavily promoted by Salman Khan, despite not being a part of it; he did it simply because he liked it. Young David (Hayden Christensen) is going through a family crisis, when he accidently discovers his ability to teleport. Many years later, David is living it up thanks to his powers, but he soon finds that there are many others like him and a group is out to eliminate him and his kind. With the help of an experienced jumper Griffin (Jamie Bell), he must fight off the secret gang who are working endlessly to get rid of them. 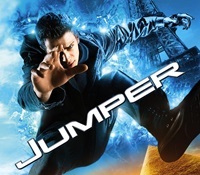 In its sequel, Jumpers will be shown going to other planets and time travelling. As the Gulf War draws to a close, three US soldiers are desperate to return home. Major Archie Gates (George Clooney) is set to retire in two weeks, while sergeant Troy Barlow (Mark Wahlberg) has just become a father and Chief Elgin (Ice Cube) is on paid vacation from Detroit. When news trickles in that Saddam Hussein has stolen truckloads of gold from Kuwait, the trio plan to steal it. But when they see the effect of the war on Iraq, things come undone. Matt Damon and Matthew McConaughey turned down the role that went to Wahlberg. When the stoic Barney Ross (Sylvester Stallone), the leader of the Expendables, a group of mercenaries, is approached by Church (Bruce Willis) to overthrow General Gaza, the tyrannical dictator of South American island country Vilena, he rounds up his strong teama��including blade specialist Lee Christmas (Jason Statham), martial arts expert Yin (Jet Li) and trigger happy Hale Caesar (Terry Crews). But while on a reconnaissance mission, their cover is blown. Plans for a sequel were made seven months prior to the first one being released. When mathematics professor Frank (Johnny Depp) embarks on a tour of Europe, little does he suspect that hea��d become embroiled with criminals. While on a train to Venice, he meets a mysterious woman and finds himself in a world of espionage and intrigue, with the police suspecting him to be Alexander Pearce, Elisea��s lover, who owes the government A?744 million. Jolie is said to have changed 12 outfits in the film. When the legendary mask of the god Loki finds its way into the hands of upcoming cartoonist Tim Avery (Jamie Kennedy), his son Alvery is born with the powers of the god. But the real trouble beings when Loki himself comes down to Earth on the orders of his father Odin, to retrieve the mask. While he is willing to do everything in his power to get the mask back, what he doesn’t realise is that to protect his father, Alvery will unleash all his powers, too. Jack Black was first cast as Avery, but turned it down. Jack Conrad (Steve Austin), a dangerous criminal on death row, is whiling away his last days in prison. However, he is a�?purchaseda�� by a television producer and promised a chance at freedom and a huge sum of money. All he has to do is fight nine other criminals to the death. With a bomb attached to the criminala��s ankles and a pin that will detonate the bomb, the winner is expected to eliminate the others in 30 hoursa��after which he may go free. But is it a sadistic game or a real chance at freedom? Jones was set to play the lead until WWE decided to make the film in their studios. They then made Austin the lead and Jones second lead. Set in Ahmedabad, this one is about three friends, Ishaan (Sushant Singh Rajput), Omi (Amit Sadh) and Govind (Rajkummar Rao), who set up their own sports shop and academy for cricket. Ishaan begins to vigorously train a young aspiring player, Ali, who he sees tremendous potential in. But when the Bhuj earthquake strikes, their business is destroyed. To make it worse, Oma��s parents are killed in the Godhra train massacre and hea��s fuelled by his right-wing uncle to take revenge. But will their friendship eventually survive or will they make irrevocable mistakes? The film is based on Chetan Bhagata��s book The Three Mistakes of My Life, and even features his son Ishaan in a small role.